This Sunday (11 November 2018) is the 100 Year's Anniversary of the signing of the Armistice to end hostilities of the The Great War 1914 - 1918. The Officers and Cadets of QMGS CCF Contingent will be attending, as usual, the Mayor's Remembrance Sunday Parade in Walsall Town Centre. The timings for this are provided on the attached notice. 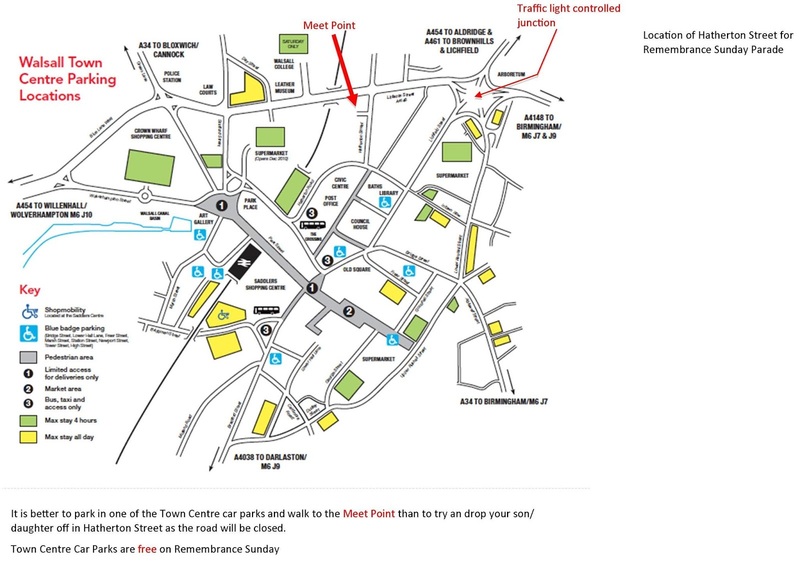 Below this notice is a map of the public Car Parks that will be available on Remembrance Sunday. Charges for these Car Parks are waived for this day. There will be NO charge for parking in the Car Parks of Walsall. 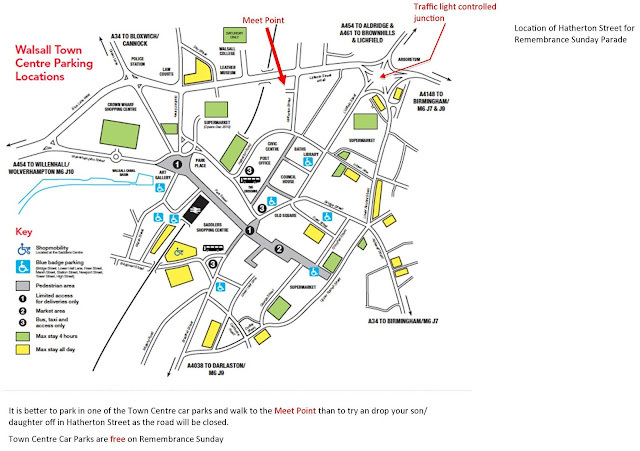 Drop off or park in one of the nearby car parks and walk to Hatherton Street CP.